This mineral-rich blend of Dead Sea salt and precious essential oils gently removes dead cells and leaves your skin velvet smooth and youthful. Extracts of five local herbs and nine essential oils led by sage, wild thyme and myrrh clean the pores, regenerate the complexion and provide relief from nervous exhaustion, insomnia and tired muscles. It envelops you gently in a veil, which will regenerate and smooth out your skin for several hours after your bath. Sage, Himalaya salt, wild thyme, myrrh, lemon grass, jojoba. 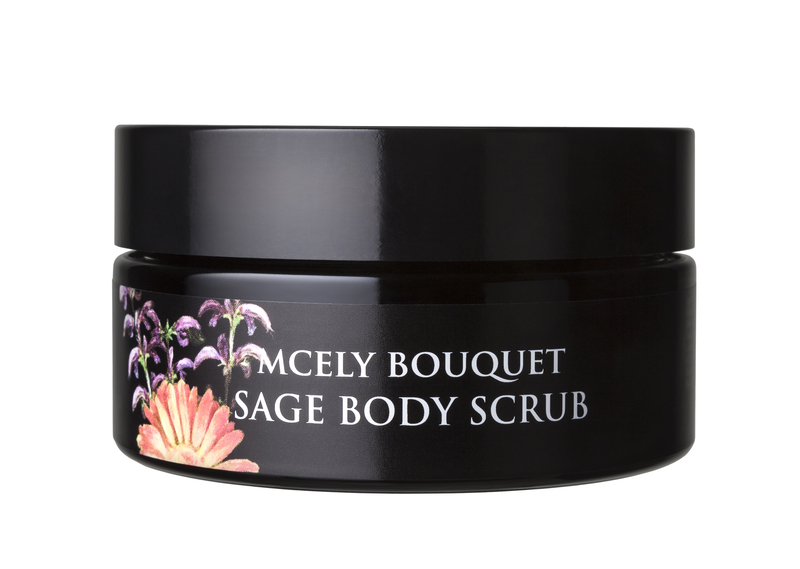 Massage a handful of the Sage Body Peeling energetically but gently into the dry skin of your entire body. Afterwards shower off with clean water. Tip: To increase the effect, immerse yourself in warm water for 15 minutes before showering.